This is a story to be shared, and those in similar situations looking for support might take comfort. 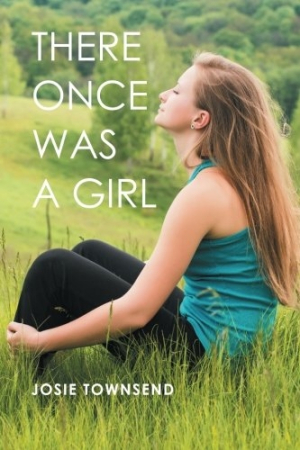 Josie Townsend’s There Once Was a Girl is the tragic but honest recounting of a young woman’s life that spun out of control, a story of innocence not only lost, but trampled upon. In the 1980s, Josie Townsend was living in Australia and working hard. She owned her own home and had a nice job at the bank. Like many successful young women, she also wanted someone to love and start a family with. She’d tried once before, but her marriage ended in divorce not long after a car wreck left her with a facial scar and a discolored eye. Things seemed to take a turn for the better when she met and fell in love with Mark, but she found herself making excuses and unreasonable accommodations for him. The same became true of other relationships. That pattern continued with other people who came into her life, and she found herself continually surrounded by alcoholism, addiction, abuse, and death. Before she knew it, the years piled up, and she had to fight for her children’s well-being in addition to her own. Throughout the narration, Josie’s sharp words and wit feature in, becoming the best—and often quite funny—parts of the book. She is shown to be strong-willed, even in the face of poor treatment. But as her circumstances worsen, more holes appear in the narrative, despite its vivid descriptions. Pace is inconsistent, with the first part of the book covering a short time period in which Josie navigates from the end of one relationship to the next, giving the impression that relationships will be the focus of the book. Yet the narrative changes, tracking marriages and struggles with Josie’s kids, and events are punctuated by years instead of weeks and months. Though the title suggests the book is about one girl, it’s really about two. The first half of the book focuses on Josie, but the last half involves various challenges with her daughter. These shifts, and ambiguity around which girl the story is most about, lead to some confusion. This becomes a book more about mothers and daughters than one individual. There Once Was a Girl is a survivor’s story, but not one with a hopeful message where everything turns out okay in the end. It’s a story to be shared, and those in similar situations looking for support might take comfort in reading a book that lets them know they aren’t alone.